We saw an immediate need for us to identify ways to tap into the potential of the bail agent and the bail process and leverage it as a resource to guide victims at a true time of need. 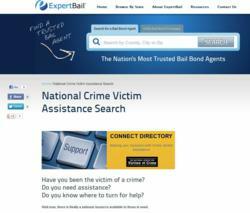 In its ongoing commitment to supporting victim advocacy, the ExpertBail Network is furthering its relationship with the National Center for Victims of Crime (NCVC). ExpertBail will once again serve as a sponsor of NCVC’s upcoming national conference in New Orleans…something which it has done for the last three conferences. “When we launched the ExpertBail brand back in 2010, we identified NCVC as an important partner for our family of agents,” says Eric Granof, Chief Marketing Officer and Outreach Director for the ExpertBail Network. “Many people don’t realize the role that bail agents actually play when it comes to victim advocacy. We felt that a relationship with the largest and oldest victim advocacy group in the country was a good way to educate people about both of our industry’s role and our potential to make a difference. That role as explained by Mr. Granof is exemplified by the very purpose of commercial bail, which is to ensure the appearance of a defendant in court. By ensuring that defendants appear for court, bail agents are in essence ensuring that crime victims get a chance at justice. Using that train of thought, you can make the claim that through the ExpertBail Network last year over 360,000 victims got a chance at justice. 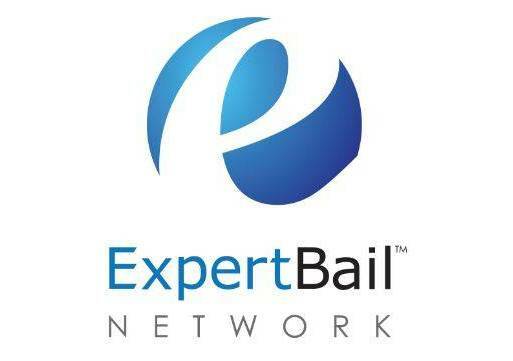 ExpertBail is the bail bond industry’s first true national bail bond network. Comprised of the most experienced and highest quality bail agents in the industry, ExpertBail helps consumers reduce the clutter in the bail marketplace and directs them towards a trusted, proven and experienced bail agent in a simple and transparent way. ExpertBail is backed by AIA, the oldest and largest family of bail bond insurance companies. With over 150 years of stability, trust and knowledge behind every bond written in the ExpertBail Network, its focus is on the consumer and helping them through a difficult time. The mission of ExpertBail and its network of agents is not only to meet the expectations of customers, but to exceed them substantially. The AIA family of companies has been partnering with agents across the country for over a century. Formed in 2003 as an alliance of the surety bail industry’s leading companies Allegheny Casualty, International Fidelity and Associated Bond, AIA utilizes a unique “service-focused” approach to management that provides its family of agents with the knowledge, tools and commitment they need to grow their business and succeed. AIA has become the overwhelming industry leader in agent service, national coverage, bail written and number of agents. The National Center for Victims of Crime, established in 1985, is the nation’s leading resource and advocacy organization for crime victims and those who serve them. For more than 25 years, the National Center has led this nation’s struggle to provide crime victims with the rights, protections, and services they need to rebuild their lives.